Founded in 1991, Mercury Graphics is owned and operated by Terry and Mary Reed. We have come a long way from our humble beginnings in our home office. As our business grew so did our need for commercial space to handle customer traffic, more inventory and equipment. We have been located in Historic Downtown Tehachapi, California for over 26 years now. Still growing and needing more space, in 2002 we designed and built a 3,000 square foot State-of-the-Art work shop. 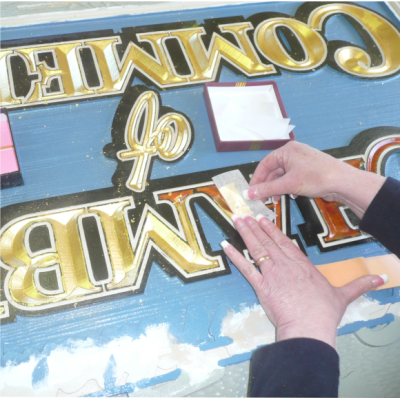 Our shop capabilities include screen printing, wide format printing, vinyl cutting, lamination, offset and full color printing. 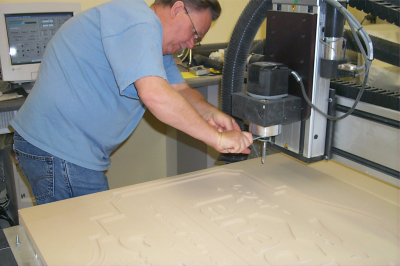 Our shop also has a State-of-the-Art CNC Router capable of producing beautifully designed dimensional signage. 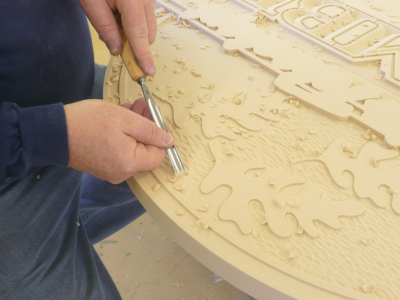 Quality in house design and the highest standards of craftsmanship are the cornerstone of each product that leaves our shop. The result is a loyal base of returning clients and a steady draw of new ones. Mercury Graphics looks forward to the opportunity to serve you.